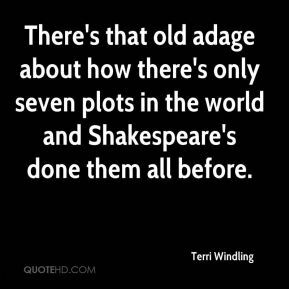 There's that old adage about how there's only seven plots in the world and Shakespeare's done them all before. 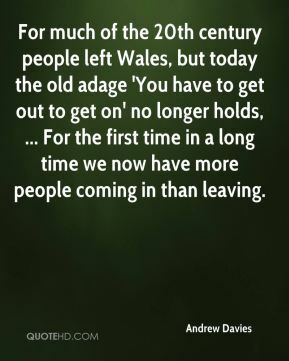 For much of the 20th century people left Wales, but today the old adage 'You have to get out to get on' no longer holds, ... For the first time in a long time we now have more people coming in than leaving. 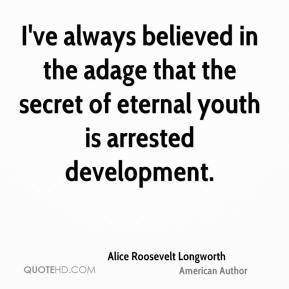 When you temporarily run aground, remember that there are no failures in life. There are only results. 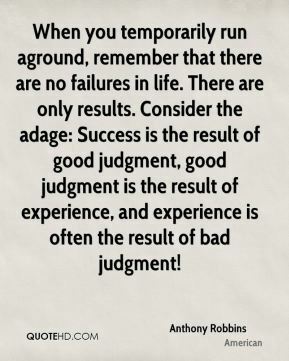 Consider the adage: Success is the result of good judgment, good judgment is the result of experience, and experience is often the result of bad judgment! 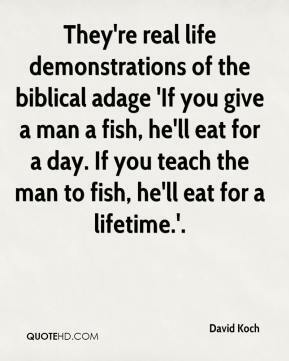 They're real life demonstrations of the biblical adage 'If you give a man a fish, he'll eat for a day. If you teach the man to fish, he'll eat for a lifetime.'. We just don't worry about it too much, ... 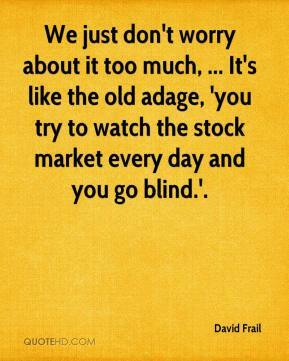 It's like the old adage, 'you try to watch the stock market every day and you go blind.'. The old adage the devil is in the details is particularly true in this case. I think it's fair to say we have some work to do. 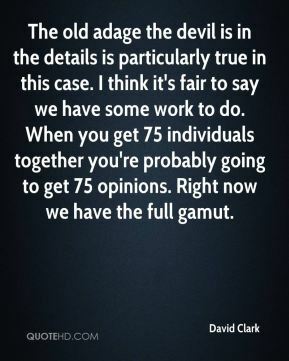 When you get 75 individuals together you're probably going to get 75 opinions. Right now we have the full gamut. 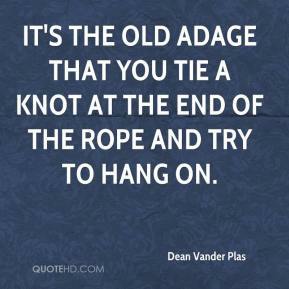 It's the old adage that you tie a knot at the end of the rope and try to hang on. 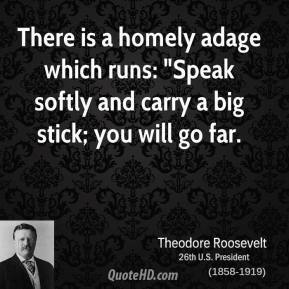 There's an old adage. Parents shouldn't be friends to their children and neither should teachers. As soon as that happens, the relationship is not what it's supposed to be. 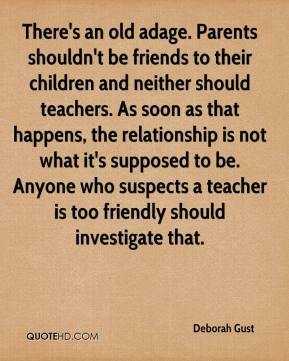 Anyone who suspects a teacher is too friendly should investigate that. 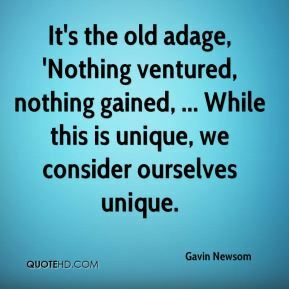 It's the old adage, 'Nothing ventured, nothing gained, ... While this is unique, we consider ourselves unique. 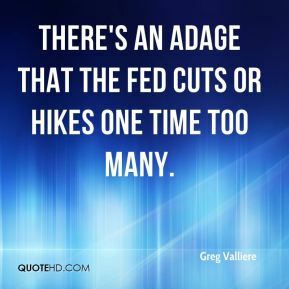 There's an adage that the Fed cuts or hikes one time too many. 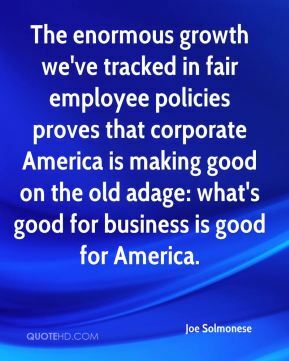 The enormous growth we've tracked in fair employee policies proves that corporate America is making good on the old adage: what's good for business is good for America. 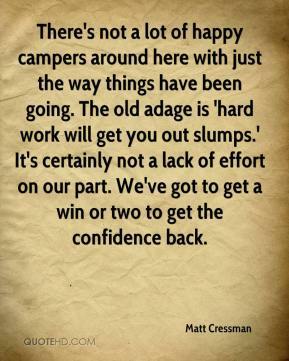 There's not a lot of happy campers around here with just the way things have been going. 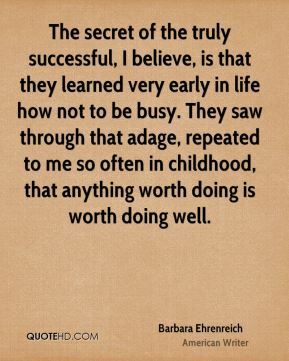 The old adage is 'hard work will get you out slumps.' It's certainly not a lack of effort on our part. We've got to get a win or two to get the confidence back. There's an old adage that a lot of the talent comes through the fingers. 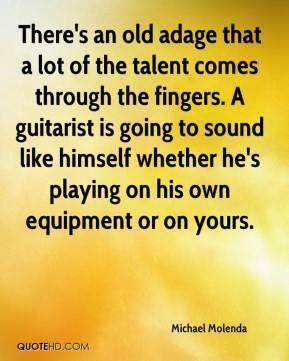 A guitarist is going to sound like himself whether he's playing on his own equipment or on yours. 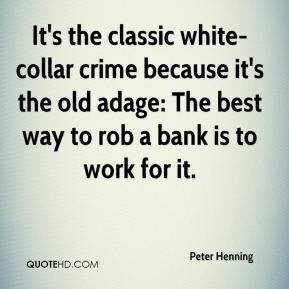 It's the classic white-collar crime because it's the old adage: The best way to rob a bank is to work for it. 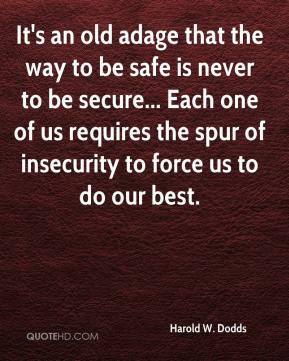 The adage I use is of Jack and the Beanstalk, Gulliver and the Lilliputians and David and Goliath. All of them apply, there's no doubt about that. 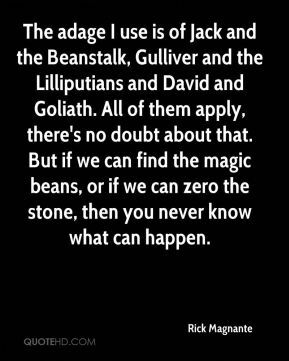 But if we can find the magic beans, or if we can zero the stone, then you never know what can happen. 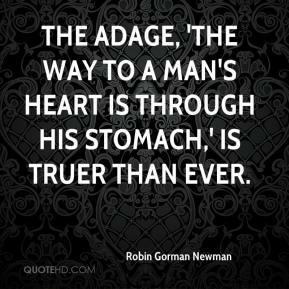 The adage, 'the way to a man's heart is through his stomach,' is truer than ever.